The health value of wearables just received a big boost. The preliminary results from a study involving 400,000 participants showed that wearable technology can safely identify heart irregularities. The Apple Heart Study was conducted by researchers from the Stanford University School of Medicine and funded by Apple. The researchers confirmed by subsequent testing that heart rate irregularities identified by participants wearing Apple watches could be atrial fibrillation. 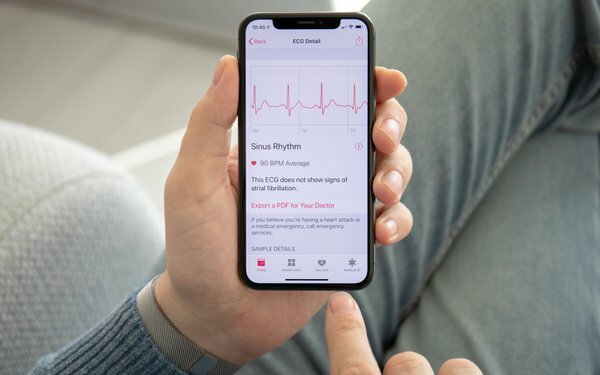 The study, started in 2017, intended to determine whether a mobile app using data from a heart-rate pulse sensor on the Apple Watch could identify atrial fibrillation. In the study, .5% of the participants received irregular pulse notifications and they were sent an electrocardiography (ECG) patch to wear for follow-up detection of atrial fibrillation episodes. About a third (34%) of the participants who received irregular pulse notifications and followed up with an ECG patch over a week later were found to have atrial fibrillation. The majority (57%) of those who received irregular pulse notifications sought medical attention, according to the study. Other tech suppliers, including Fitbit and Samsung, also make smartwatches that include heart rate monitoring, but the Apple-funded study included only Apple watches. The study is at least one indicator of the increasing potential of wearable devices.